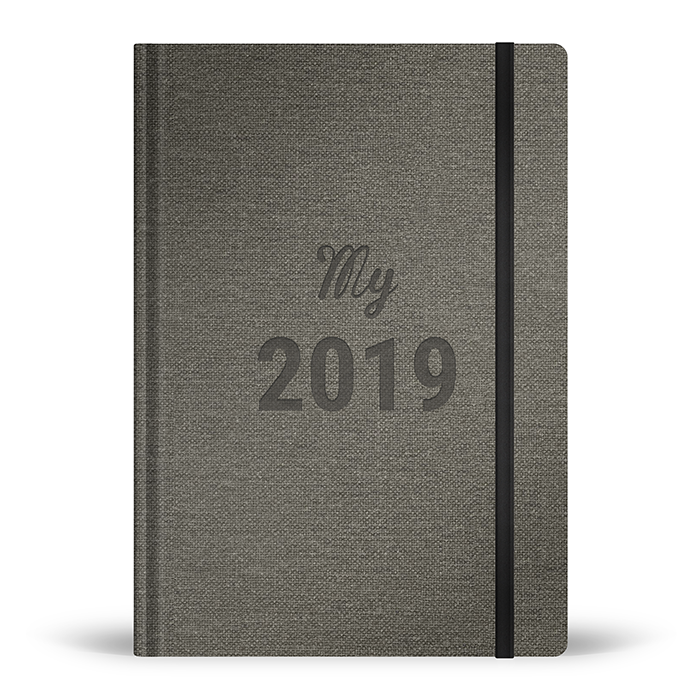 Vous ne pouvez ajouter "The My 2019 Diary – English-language version / version anglaise" au panier car nous n’en avons plus en stock. The My 2019 Diary (15 x 21 cm) is now available in English. It’s eco-friendly, made in France, and includes a bullet journal design. My 2019 helps you plan your schedule, achieve your goals, make time for you, and stay positive year-round! My 2019 is more than just a diary. It includes a series of mini-projects to help you get ahead with your future plans, establish priorities, or go over your wish list. Use My 2019 to set your course towards living the life you always wanted! Every week, My 2019 provides inspiring and positive quotes, to-do lists, and spaces in which to jot down ideas. 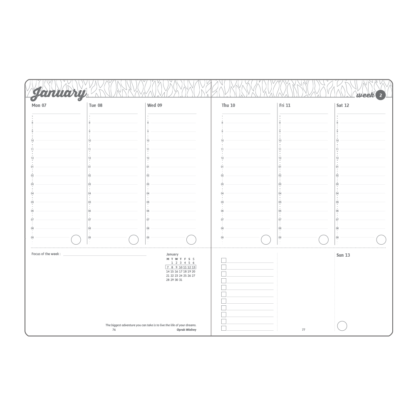 A double-page monthly view helps you plan and track your goals. 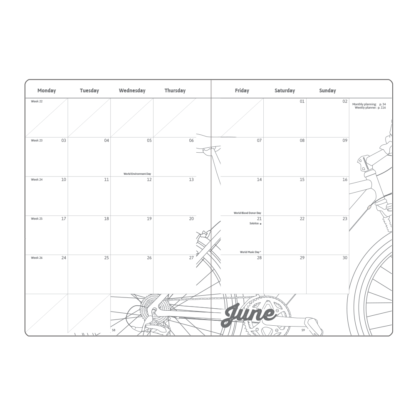 You can also write down times and places you felt happy and use the blank lines to write, draw or paste souvenirs: the choice is yours. 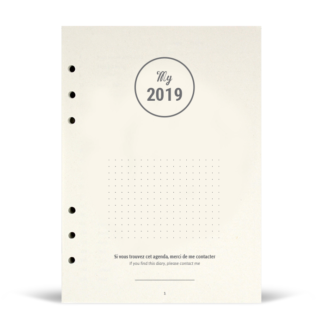 In My 2019, you’ll find mini-projects to add a spark to your day; wish lists just for you; trackers to stay in touch with your needs; blank pages to get your creative juices flowing, and more. 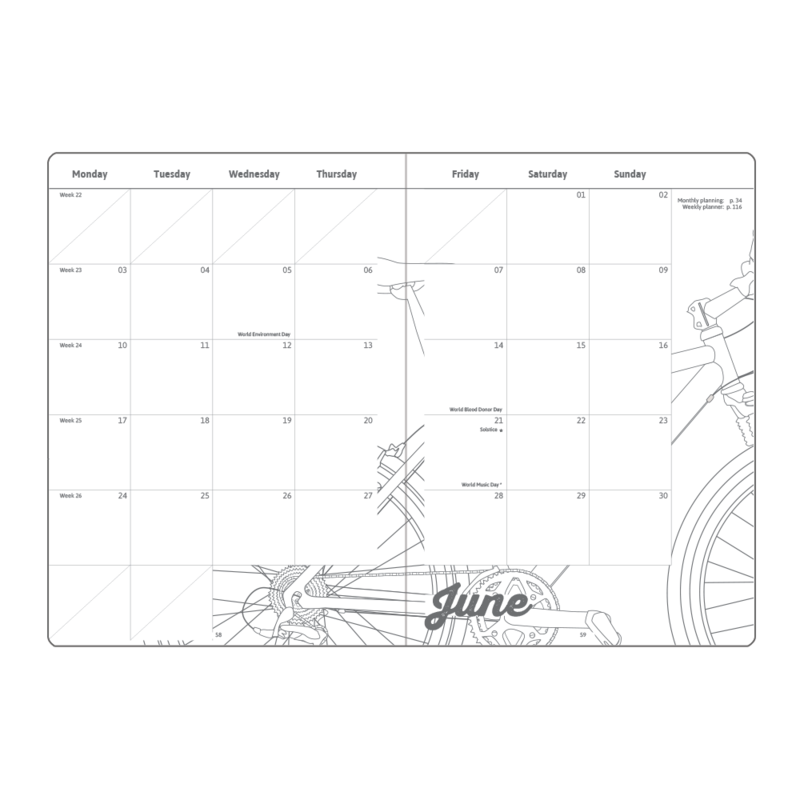 My 2019 is printed on 100% recycled, 90 gsm paper that is specially designed for writing and made in France with care. My 2019 is eco-designed in Rennes and manufactured in France in our different partner production facilities. 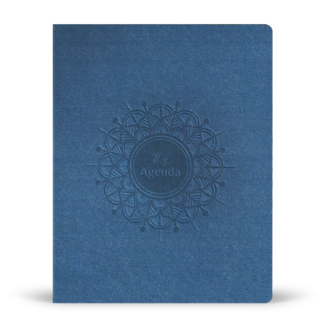 Its pages are made from premium French recycled paper that is certified ‘Blue Angel’, FSC and EU Ecolabel. 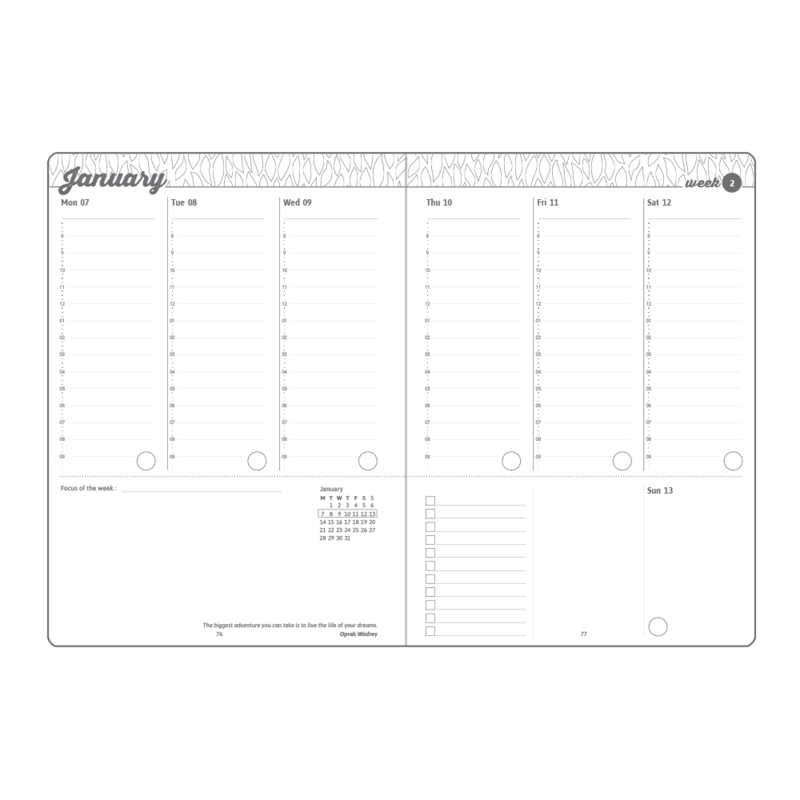 Covers are composed of a blend of 100% FSC papers and cardboard and are fully recyclable. As per our company’s eco-friendly specifications, the CO2 footprint of My 2019 shipping is offset and delivery guaranteed plastic-free. We always ship 100% plastic-free. Registered Colissimo delivery in France (two business days). Registered Delivengo delivery for other countries.